It’s heartbreaking to see someone you love suffer and not have a clue as to how to comfort them. As human beings, it’s natural to seek help. Whether they are stressing about financial problems, going through a break-up or just feeling blue, it’s always important to help someone you care for to make them feel better and happy. But sometimes in your attempt to reassure them, you end up blurting out something that you later realize may not have been the best thing to say. In certain situations, it can be really difficult to know what to do or say. Doing or saying nothing is always an option, but it doesn’t feel right to leave a friend or loved one alone without at least extending a kind word or gesture. People who are low or stressed out may feel indebted or embarrassed about needing support from someone. They may interpret your offer of assistance as an indication that they are weak and incompetent. And despite your best attempt, your well-meaning effort can backfire. But, there are a multitude of ways to get them smiling and help them shake their blues away. Here's how to cheer someone up and bring a smile on their face with these simple tips. 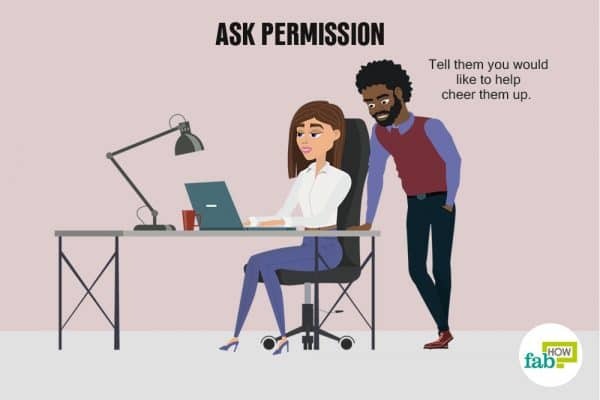 Ask permission. First, find out whether the person you are trying to cheer up wants your help at the moment. Tell them you would like to help cheer them up and ask if it’s OK. Sometimes they may want to be alone. In that case, leave them alone and be there when they want you to be. Most people will eventually come around. Just knowing that you care is often good enough. Listen to them. 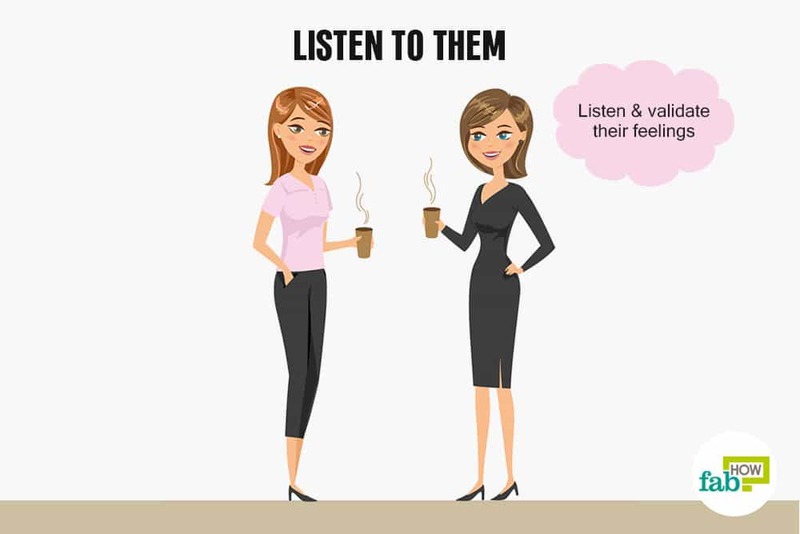 When someone is going through a rough patch, there is nothing better than be willing to listen to them. A person needs to vent. Let them talk and pour out their heart. Avoid interrupting. When a person is feeling low and sad, they’re often not in a mood to listen to anyone. Just listen to them and validate their feelings. Make a genuine attempt to make them feel understood. 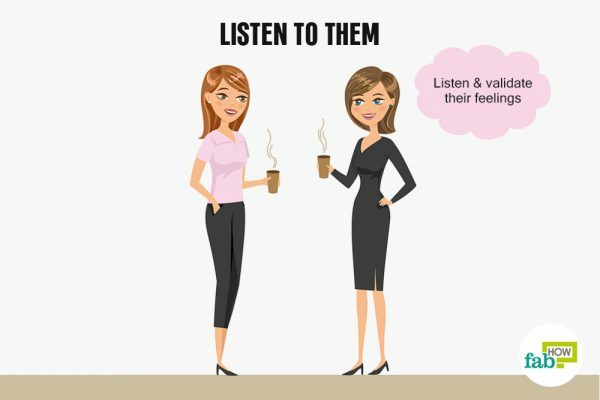 Practice active listening by demonstrating concern and attentiveness. Don’t give them a lecture or advice. Unless you are specifically asked for your opinion, don’t give any sort of advice. Don’t try to offer solutions. Instead, ask questions to help them talk fully about the problem. They just need you to listen. Advice can sometimes backfire, and you don’t want to be the one remembered for advice that went away. Hug them. Give them a big hug. When you hug someone, your brain releases oxytocin – a natural stress reliever. It makes people feel better and is helpful when you run out of words. Plus hugs are free and don’t cost anything. Help them cry it out. Crying is also cleansing. Allow the person to cry it out. Crying relieves stress and makes way for better feelings. Shedding tears will help them release the negative emotions built up inside them and create room for positivity. Write them a thoughtful letter. In today’s technological world a written note or card is so rare and thoughtful. A handwritten letter or card shows that you are paying attention to them. It shows the person that you care enough to take time to write an encouraging letter. Take them away from electronics. Persuade them to move away from the TV or the Internet, and get them out of their bedroom and even their home if possible. Walk amidst nature. Being amidst nature improves a person’s mood, and walking relieves stress. Ask them to join you for a stroll through the neighborhood in the fresh air, or go on a walking tour of your town. It will soothe their nerves and help them relax. Also, being away from the Internet and television will allow them to talk and share their problems. Take them out for a picnic. Pack their favorite snacks and go with them to a place where they would enjoy spending time. It could be a local park or any place in your community that you may not have explored before. Go on a road trip. 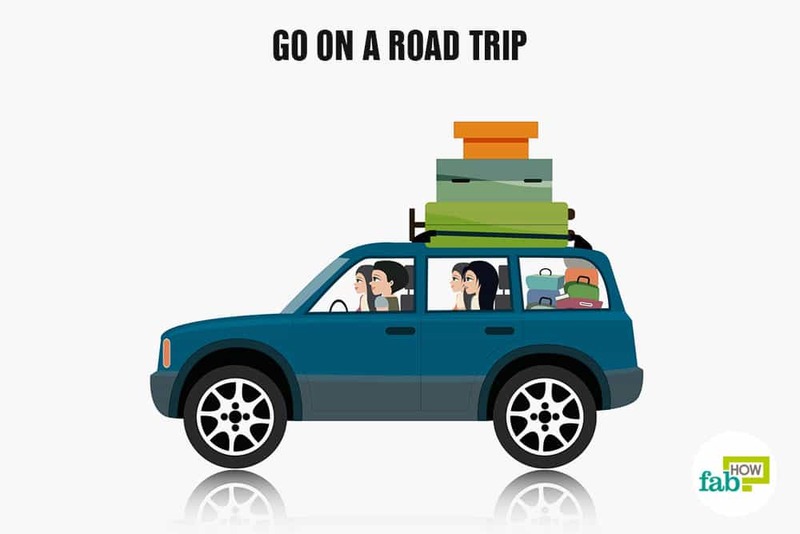 Take them on a road trip with all your friends. 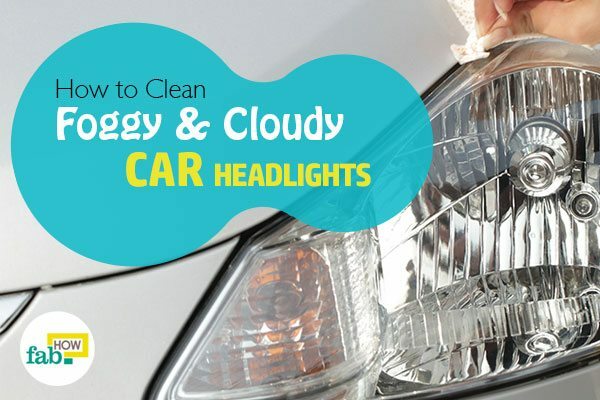 Turn up the radio and take them on a drive through a scenic part of your town or region. A change of scenery is always a good idea. Rides to a nearby lake or ocean can sometimes put a problem in perspective and make the problem seem small compared to this huge body of water that celebrates life. Help them laugh. Laughter is a great medicine for the soul and has useful benefits. Help the person laugh at the situation. Crack jokes, use puns and sarcasm to help them feel better. A good laugh will help get their mind off their troubles and even see the situation from a new perspective. Prepare dinner for them. Make something the person loves to eat. Cook their favorite meal or bake their favorite cookies. This will help them feel happy and cared for. Unleash their creative side. If the person has a creative side, doing something artistic could cheer them up. Encourage them to paint, dance or sing. It will help them release the negative energy in a healthy and productive way. Do some activity together. Consider joining a community group that does weekly or monthly activities. Be it gardening or redecorating your friend’s house, any activity that can take their mind off their worries can be relaxing and a great stress buster. 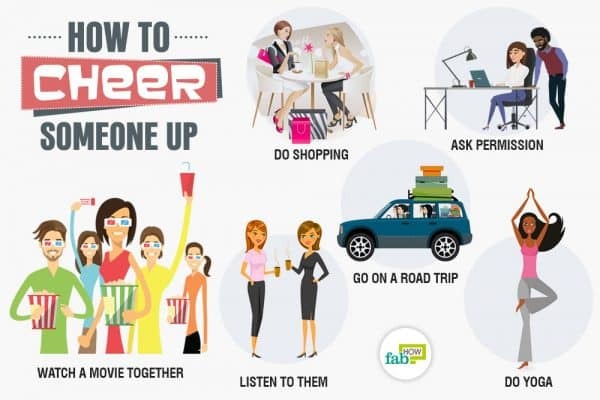 Team up with your friend and get them involved in any sort of engaging activity, maybe something that they wanted to try out but never have. Talk about their positive side. Everyone loves a compliment. Reflect them the positive side of their personality. Talk to them about the things you love about them. Remind them of their positive traits and qualities. If you can help them identify and see the good in themselves, you have won half the battle. Watch a movie together. Movies can also be therapeutic. One that is similar to their predicament with a good outcome is beneficial. 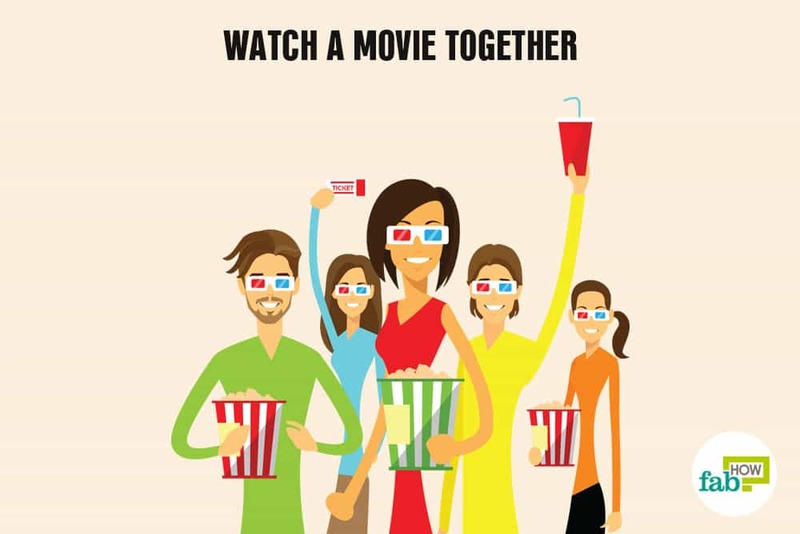 Grab their favorite snack and watch a funny movie, a romantic comedy or something that is a mix of comedy and drama. Getting engrossed in a movie will help take their mind off their problems for a while. It will be a good break for them. Have a sleepover. Arrange a sleepover at their place. Getting sound sleep when a person is stressed or depressed can be difficult. Having someone by their side when they feel lonely – especially at night – can be calming, relaxing and soothing. It can make them feel safe and loved. Indulge in some retail therapy. Do a little shopping. It doesn’t necessarily have to be expensive. 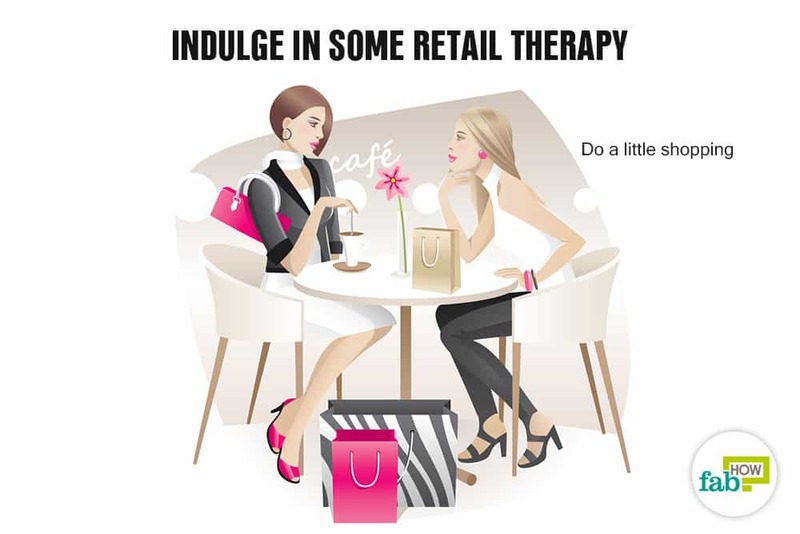 Shopping will help them de-stress and distract them from their problems. Window shopping is free and costs nothing to look at. Be sure not to let the person go overboard and add to their worries. Do compassion meditation together. Help your friend work on sending good wishes, thoughts, and vibes toward the person who caused them harm. Encourage them to forgive the people who have mistreated them or broken their heart. This will help them unleash all sorts of negative emotions pent up inside and embrace positivity instead. Do yoga. Yoga is good for a person’s mental health. It lowers one’s stress level and anxiety while raising the feel-good hormones in the body. It helps boost positive emotions. Start with some basic yoga moves to get in the mood and practice of using yoga as a healthy practice. 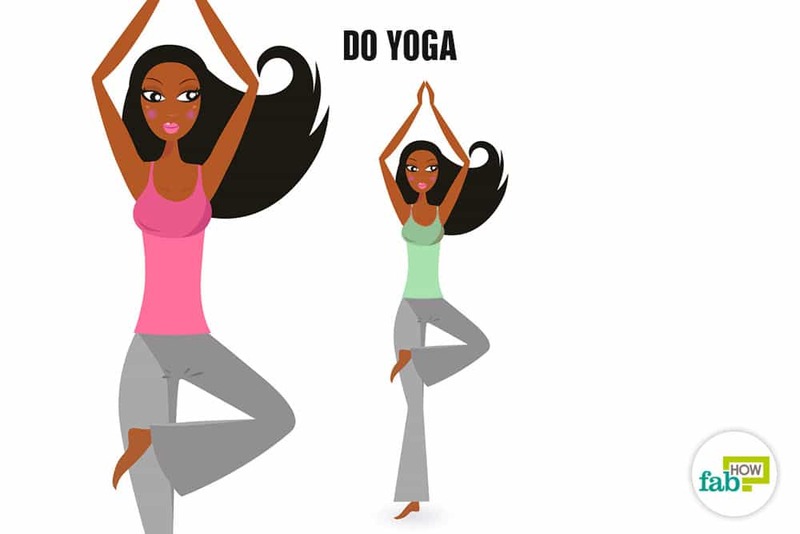 Motivate the person you are trying to cheer up to do some yoga with you. If possible, get them into the habit of practicing yoga daily. Try skipping or go cycling. Be silly and try skipping like you did when you were children, or go for a bike ride. Any form of exercise that gets them moving will help their body produce feel-good hormones and distract them from their bad mood. Do something nostalgic. If you are trying to cheer someone up who is an old friend, help them choose something you used to do together when you were kids. Play cards, board games or go to a park and play on the swings. Just make sure to do something that would transport them to the old, happy times. This will at least help them forget their worries for a short time. Text them old photos of the two of you. Text them some funny pictures or send old pictures to them every week for some retro throwback. Remembering happy times can help cheer them up. Old times can feel like new times and memories that may have been forgotten. Run errands for them. Usually, when people are depressed, they have difficulty carrying out daily responsibilities. They also might have trouble asking for help. Surprise them by running errands for them. Do it without the person having to make an effort to ask. Gift them a spa experience. A few hours at the spa can be renewing and beneficial. Give them a spa treatment. Both of you can just relax and unwind there. The person will feel pampered and relaxed – something they are probably in great need of. Give them a head massage. When a person is stressed out, the physical act of someone massaging their head, feet or hands can be quite comforting and relaxing. It might be something that they actually need. Give them a gift basket. Everyone loves an unexpected surprise. Get a basket and fill it up with things that the person loves – books, DVDs, chocolates, candles or anything that would raise their spirits. Make them a playlist of their favorite songs. Music is food for the soul. Make them a playlist of all their favorite happy songs. It will help them cheer up even when you are not there with them. Bring them a furry friend to play with. Gift them a pet, or if that’s not possible, bring your dog along with you when you visit them. Playing with a pet can be a great distraction from anxiety and depression. If neither of you has a pet, visit an animal shelter where you can pet and walk the animals. Send them flowers. Get them a bouquet of their favorite flowers. Whether it’s from your garden, a park or a florist, flowers have the magic to heal a heavy heart. Volunteer. Volunteering is good for uplifting a person’s mood. It helps a person sleep better and raises their self-esteem. Help the person get out and volunteer at an animal shelter, orphanage or old age home. This simple act of kindness will change their perspective about their problems and help them be grateful for the good things in their life. Find ideas to solve the problem. If the person wants help considering solutions to their problems, sit with them and think of ideas. Write down the ideas as they come. Do not judge the ideas, let them be silly and stupid. Some of these ideas will give you an opportunity to laugh at the problem. This sort of brainstorming will help the person look at the situation from a different perspective. Who knows, they may end up realizing that the problem is not worth losing sleep over. Stay connected. While the person may want some space and time for themselves, stay connected to them. Let them know you are there. Keep a watch on them and if you feel they have become depressed, recommend professional help. Know the resources within your community. Sometimes a flyer card, or phone number of an agency or professional help can be very beneficial to the individual. If you are ever feeling down, do something for someone else. That act of kindness will surely help cheer you up and also brighten their day.